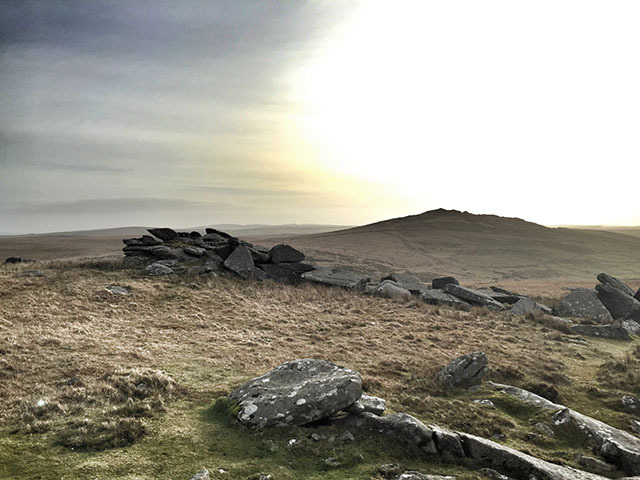 I’m ashamed to say that until a couple of weeks ago I’d never ventured up to Bodmin Moor. A brief sunny window was forecast for the Sunday morning of an otherwise wet weekend, so we grabbed the opportunity to drag the children and dog out for a blast of fresh air. 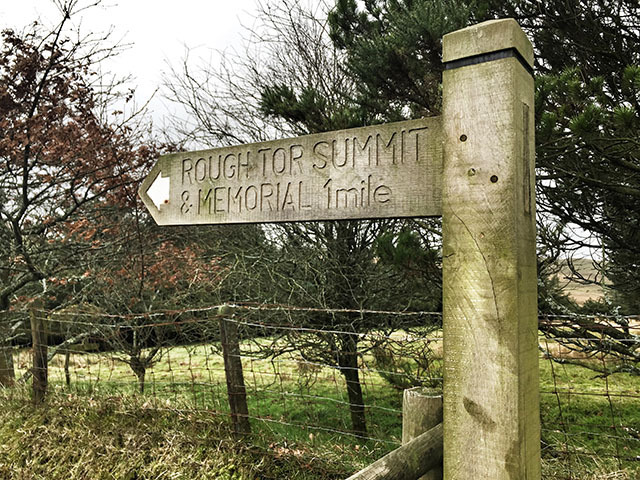 We decided to go for the beginners’ option of Rough Tor (approximately 400m above sea level), and no dragging was required. From the car park (directions at end of this article) we could see the ridge ahead of us, with three distinct peaks, rising from left to right: Showery Tor, Little Rough Tor and Rough Tor. We decided to climb them in ascending order and headed up to Showery Tor first. 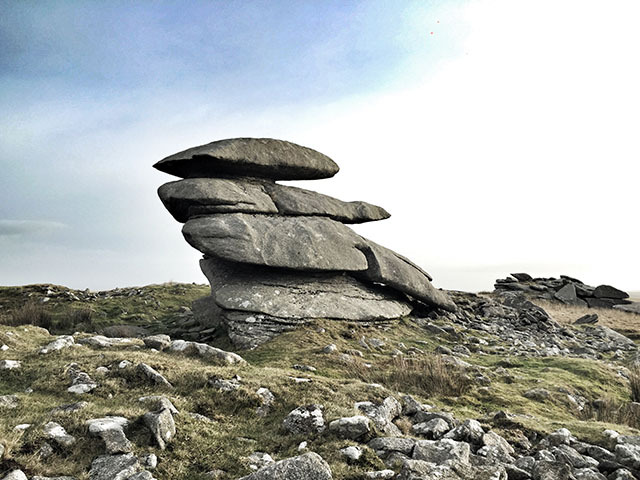 The children clambered and skipped up (yes up) the hill, every boulder a climbing challenge, especially the rock stack at the top of Showery Tor (pictured below). The views from the top were stunning. 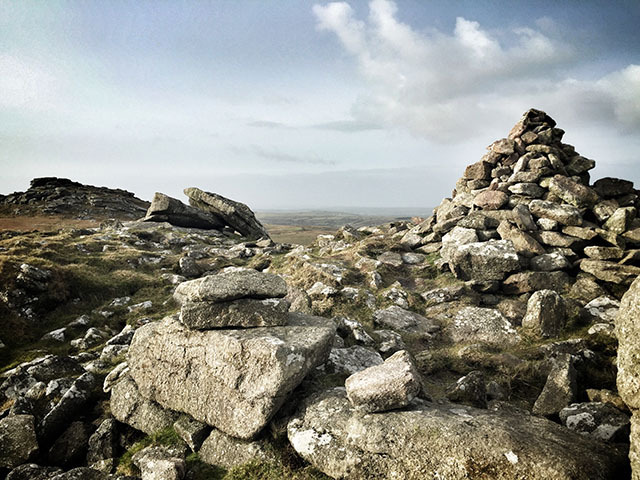 There was a lot of sniggering as we pointed out the highest point in Cornwall – Brown Willy (pictured below) – and we counted dozens of wild ponies grazing in the distance. 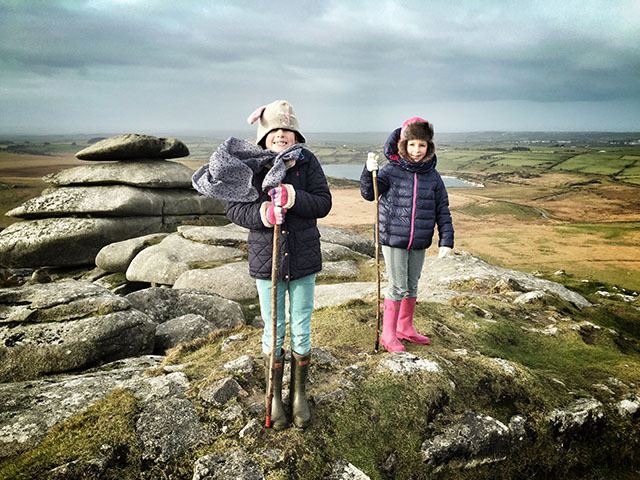 The children found the cairn (pictured below) on the top of Little Rough Tor fascinating, and spent a lot of time looking for rocks (and asking us to carry them) to add to it. Exploring along the ridge was great fun and our GPS profile (below) illustrates it perfectly. 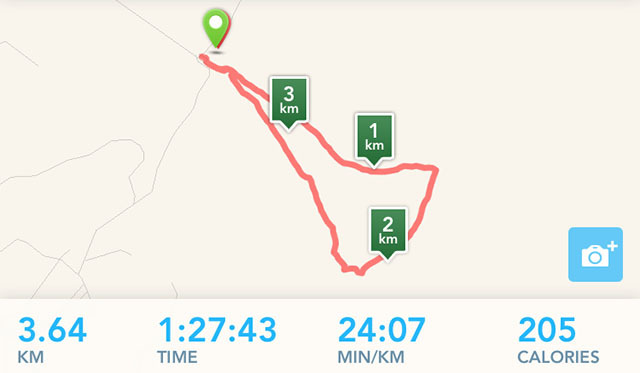 We had a leisurely stroll with lots of stops for climbing and eating, and the 3.6km circuit from the car park via all three summits took us around an hour and a half. Next time we’ll pack a picnic and are going on a longer adventure – to Brown Willy – and I can guarantee there’ll be plenty more sniggering. The weather on Bodmin Moor is liable to change very quickly. Please check the forecast before you walk and do not set off if there is any chance of mist, fog, rain or strong wind. Make sure you have suitable footwear and clothing for the conditions and a bottle of water. If taking children, I suggest a large bar of chocolate in your pocket, to be opened upon reaching the summit. 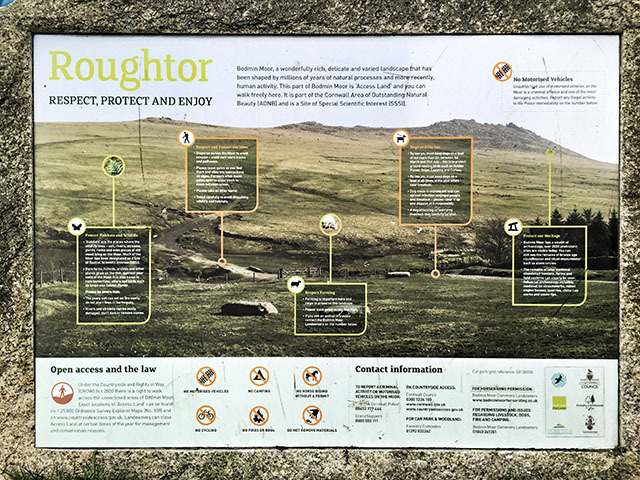 Heading from the south, drive through Camelford, cross the bridge, pass Peckish fish and chips on your right, and take the next right, with an easily missable sign: Roughtor Road. Continue along this road for approximately a mile and a half. The last straight section of the road is like a rollercoaster. Park at the end of the road, in the National Trust Poldue Downs car park.